Coretta Scott King Book Award, Illustrator, Honor Robert F. Sibert Informational Book Award, Honor Boston Globe Horn Book Award, Nonfiction Honor Parent's Choice Award Wall Street Journal's 10 Best Children's Books of the Year List Bologna Ragazzi Nonfiction Honor 2014 In exuberant verse and stirring pictures, Patricia Hruby Powell and Christian Robinson create an extraordinary portrait for young people of the passionate performer and civil rights advocate Josephine Baker, the woman who worked her way from the slums of St. Louis to the grandest stages in the world. 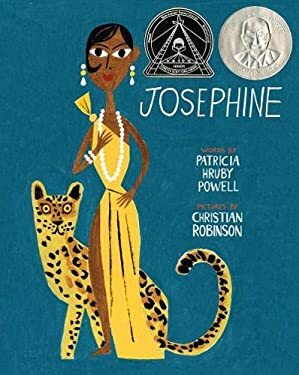 Meticulously researched by both author and artist, Josephine's powerful story of struggle and triumph is an inspiration and a spectacle, just like the legend herself." New (40 available) BRAND NEW. Over 1.5 million happy customers. 100% money-back guarantee. Make your purchase count: support Better World Books' worldwide literacy partners.